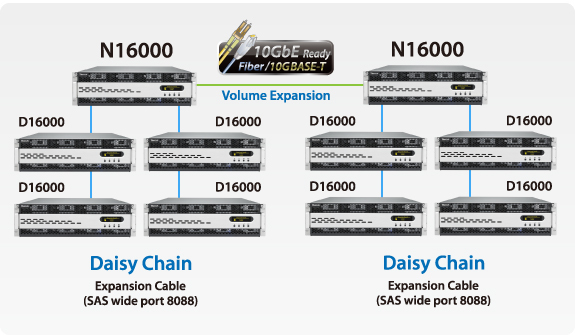 Expansion | Thecus D16000 - Massive Volume Expansion Made Easy! D16000 Massive Volume Expansion Made Easy! 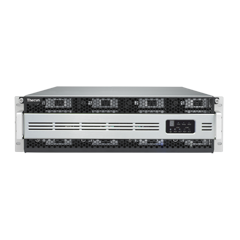 *Additional LSI SAS 9200-8e HBA card is required – extra LSI HBA card must be installed on your Thecus NAS to Daisy-Chain with D16000 unit. The LSI SAS 9200-8e HBA card is only necessary while connecting the first D16000 to the host of Thecus NAS. For the second, third, and fourth D16000, HBA card is not required.